Dough Sheet Dividing and shaping Machine is used to cut the dough sheet to specified width to meet the production of dough forming machine. The dough sheet is divided after dough press roller machine. The dough after press roller machine is shipped automatically by conveyor to dough sheeting dividing machine. 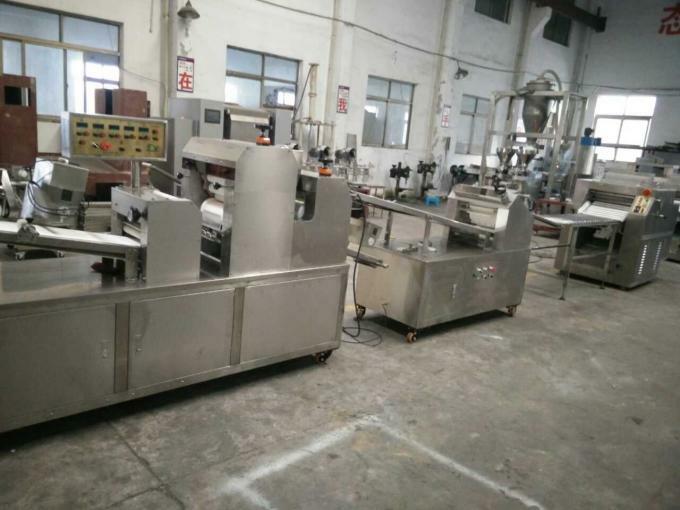 Industrial or commercial bread baking: basically dough dividing and shaping machine can finish all bread dough cutting. It has high capacity and can save much time for next production.